The Bank of Ghana (BoG) has initiated steps towards the introduction of a Warehouse Receipt System (WRS) of financing in the country. Under the warehouse system of financing, loans will be given out on the basis of goods or commodities held in trust as collateral. This initiative, according to the BoG, is part of measures to reverse the challenges posed as a result of the absence of a developed domestic commodity exchange and to place the financial system in the country on a sound footing. The First Deputy Governor of the BoG, Mr Millison Narh, made this known at the opening of a two-day commodity training and risk management seminar in Accra. It is expected that Commodity-Backed Warrants (CBW) will be issued by market participants to fund their operations, as these instruments were prerequisites for the establishment of commodity exchanges. This initiative will not only expand the frontiers of our banking system, but also establish the requisite financial infrastructure needed to fuel the operation of the proposed commodity exchanges. The commodities market in Ghana is less developed and only cocoa and crude oil appeared to have well-structured market infrastructure to facilitate their trading. The absence of a commodity exchange has hampered the domestic trading of these commodities and the ramifications are visible, and key among them are the issues of price discovery and transparency. HOW DOES THE WAREHOUSE RECEIPT SYSTEM WORK? Warehouse Receipt Systems (WRS) have a long history of use in facilitating commodity trade and finance. Basically, the systems involve the issuing of documents, Warehouse Receipts (WR), as evidence that specified commodities of stated quantity and quality have been deposited at a particular location by a named depositor(s). Depositors may be a producer, a farmer group, a trader, an exporter, a processor or indeed any individual or corporate body. The issuer of the Warehouse Receipt holds the stored commodity by way of safe custody; implying that the issuer is legally liable to make good any value lost through theft or damage by fire and other catastrophes but has no legal or beneficial interest in the commodity. In case of liquidation, creditors of the issuer will not be able to seek recourse to the commodities stored since legal title remains with the depositor or bona fide holder of the Warehouse Receipt. The only exception is the warehouse operator’s lien covering outstanding storage costs. The depositors deposit their commodities – coffee/cotton/soyabeans – which meet defined quality standards at designated warehouses. The designated warehouses have to meet prescribed physical standards. 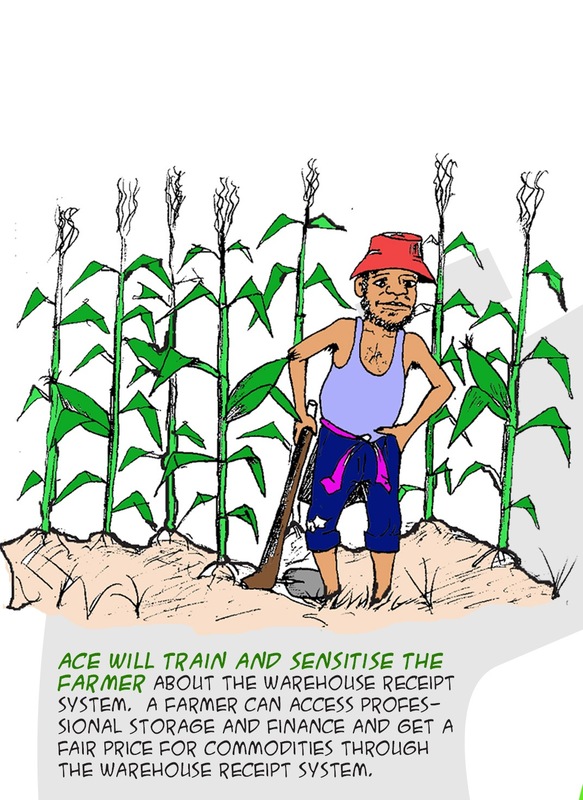 The Warehouse Operators issue Transferable Warehouse Receipts stating the commodity, the quantity and quality of commodity deposited. The Warehouse Operator guarantees delivery of the commodity described on the Warehouse Receipt and is liable for any losses incurred. The Warehouse Receipt issued is transferable, which means it may be transferred to a new holder – a lender (where the stored commodity is pledged as security for a loan) or to a trade counter-party (by which the buyer is entitled to take delivery of the commodity upon presentation of the Warehouse Receipt at the warehouse). 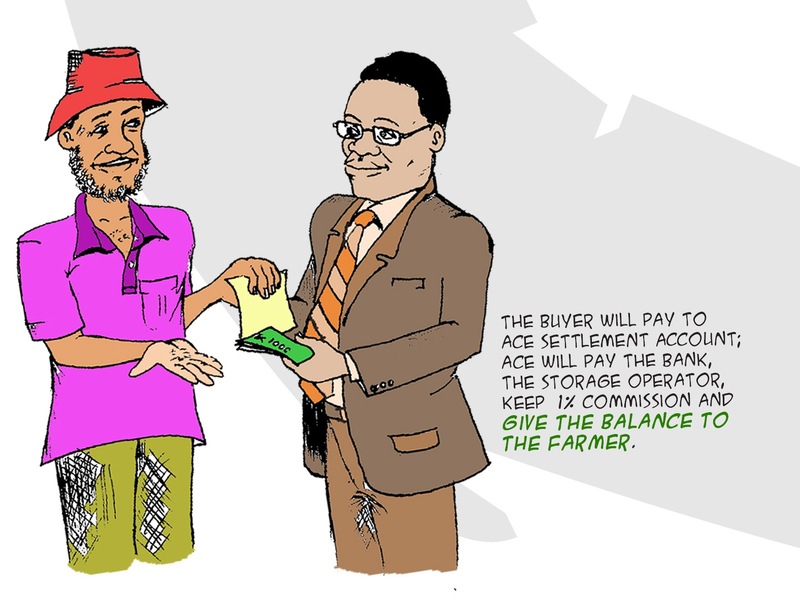 Hence, if the depositor requires short-term financing, he/she can obtain an advance representing a percentage of the prevailing market value of the commodity from a bank, using the warehoused crop as collateral. The depositor can wait until such time when market conditions are conducive to sell the warehoused commodity. Where the depositor borrowed using the warehoused commodity as collateral, it will be required that payment for the commodity is channeled through the financing bank. The bank in turn deducts the loan advanced and any accrued interest and other charges before crediting the account of the depositor with the balance. A depositor who has not borrowed against the stocks will be entitled to the full proceeds from the sale. A depositor has to pay storage, and where applicable – collateral management fees. A depositor is also responsible for the cost of transporting the commodity to a designated warehouse. 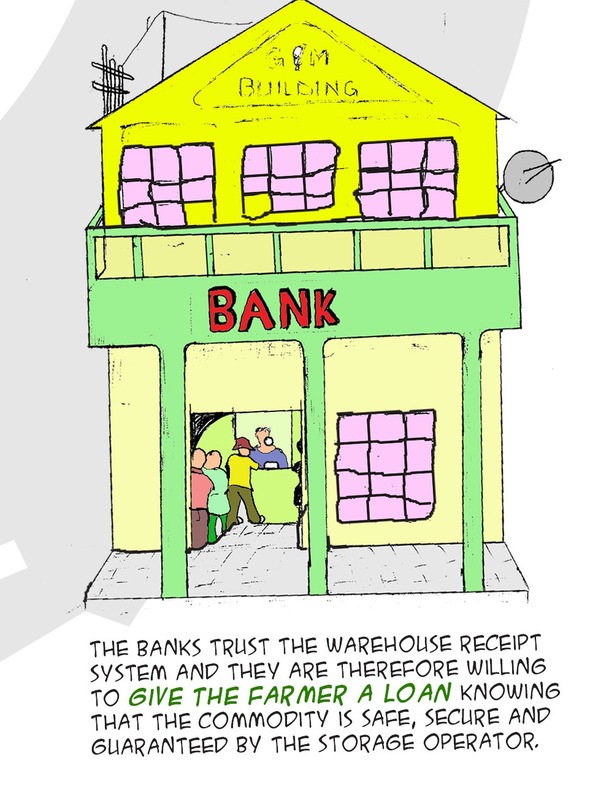 The use of inventory as collateral can ease access to finance/credit and lowers financing costs, especially for smallholder producers (participating as groups). The application of standardized grades allows trading by description, thereby reducing transaction costs, and also safeguarding against cheating on weights and quality. Trade using the WRS shortens the marketing chain and can potentially increase producer margins. 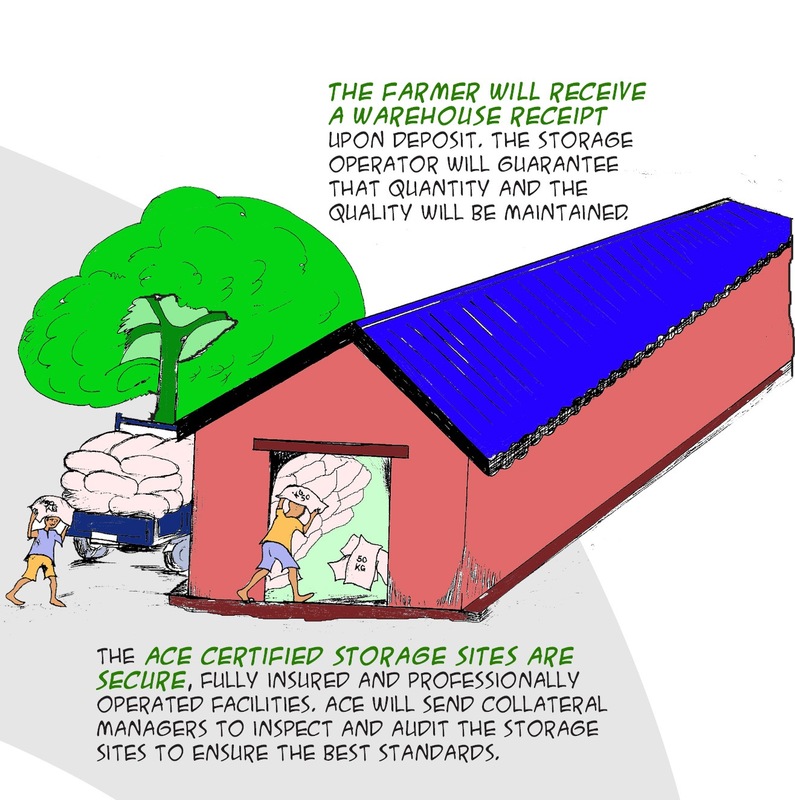 Commodities are better stored by professional warehouse operators, therefore reducing storage losses. The WRS can also help reduce the cost of procuring and managing public food reserves; create incentives for private players to invest in new business ventures; encourage proactive cooperation among producers and other players; and in creating and maintaining a more enabling policy and regulatory framework for trade in agricultural commodities. Strengthen public and private institutions and improve local human resource capacities to operate effectively in a liberalized market. The system curtails cheating on weights and measures; eases access to finance at all levels in the marketing chain; moderates seasonal price variability and promote instruments to mitigate price risks. It also reduces the need for the Government to intervene in agricultural markets. Reduces the cost of government interventions if/when needed. These warehouses help manage the food security issue and the marketing issue. It is a sustainable mechanism for increasing agricultural production, availability of good quality commodities and access to financial services. Overall the result is improved marketing of agricultural commodities. Traders have storage facilities and can sell with a good profit margin once market prices improve. 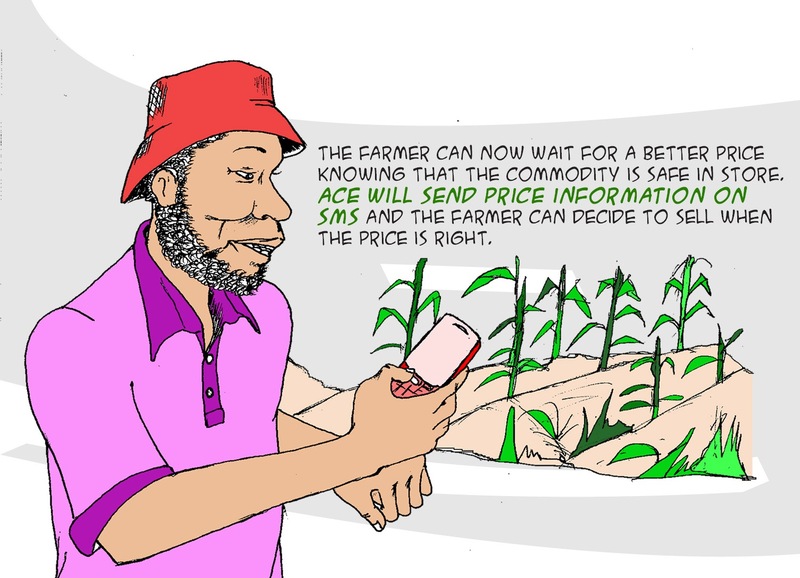 Farmers are well informed of movements in the markets and they are able to access markets rapidly, so they can wait to sell at the right time for the best price. Warehouse receipts contribute to the creation of cash and forward markets and thus enhance competition. They can form the basis for trading commodities, since they provide all the essential information needed to complete a transaction between a seller and a buyer. Their availability will thus both increase the volume of trade and reduce transaction costs. Maimuna invested her profits in a satellite dish, a television set and a generator. With the nearest electricity source 10 kilometres away, this was a major attraction for the community. “I bought it to watch the World Cup,” she says. She charged fellow villagers to watch the football matches on her television set. “To tell the truth, I was making money! In just a day I was making 18,000 to 20,000 shillings. And it went on for a month…” Maimuna is now building a second house. If harvests continue to be good, perhaps she will be able to finish it next year. Maimuna has also become a SACCOs chairperson. She is responsible for organizing meetings and represents members of her association at the meetings. More and more farmers have been using the system. As a result, the SACCOs have been able to obtain bigger loans on more favourable terms, which in turn has had a positive impact on farmers’ incomes. Farmers in other areas are demanding that the system be extended. Outside the programme area some farmers’ associations have even been implementing warehouse receipt systems with their own funds. In view of the success of the system in Babati and other districts, the government wants to extend it throughout the country. The regulated WRS has been successfully piloted in the United Republic of Tanzania and in Uganda. One farmer group, the Oridoyi Rural Cooperative Society in the United Republic of Tanzania, which has used the system, was able to raise seed cotton output by its members almost 10-fold over a period of four years. Financing was provided by a local bank, CRDB Bank Ltd, which also lends about $10 million per year against collateralized coffee. The cooperative was also able to market its lint direct to a United Kingdom-based cotton merchant in the 2005/06 season. The rise in output was primarily financed by the cooperative society from retained profits accumulated through marketing cotton on behalf of its members, through the WRS. 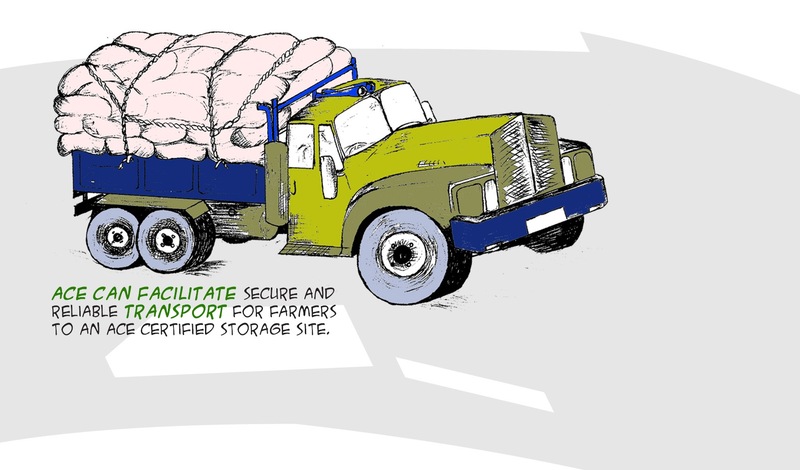 In Uganda, the Nyakatonzi Cooperative Union offered storage and toll-ginning services to its member primary cooperative societies, making it possible for them to use the WRS. The primary societies did not obtain inventory finance, as members were prepared to wait for payment until after the lint was sold. Participating farmers earned incremental income of over 40% because they sold lint and cottonseed, instead of seed cotton. The cooperative union also benefited from increased throughput without having to raise additional financing for procuring seed cotton. Warehouse receipt systems and commodity exchanges are more prevalent in east and southern Africa than in west or central. There are currently operational warehouse receipt systems or inventory finance systems in Kenya, Uganda, Ethiopia, Tanzania, South Africa, and Madagascar . Several West African countries utilize warrantage /inventory credit (Ghana, Burkina Faso, Niger, Senegal) and contr ats de tierces detention (Mali) . 4 2 Approximat ely $18,000 3 Approximately $16,300 4 Warrantage in its simplest form is depositors (farmers) storing their commodity alongside other depositors (farmers of the same group) in a small general store. These systems have extended to include inventory credit, which is the financing of a proportion of the commodity’s value in the store. Often the financier, the store owner, and the farmer group representative will each control a key to one of the padlocks on the door and therefore control the movement of the com modity from the store. In Mali the ‘tierce detention’ (third party holding) worked in a similar manner with the banks controlling the release of traders’ goods stored in a third party warehouse. Initiatives to launch warehouse rec eipt systems are in process in Ghana and Nigeria . Commodity exchanges — or at least entities labeled as commodity exchanges — include ACE in Malawi, ASCE in Nigeria, ECX in Ethiopia , SAFEX in South Africa, UCE in Uganda, and ZAMACE in Zambia . There are a lso efforts underway to launch a national commodity exchange in Khartoum , a West Africa Commodity Exchange based in Accra, and a Pan – African exchange based in Gaborone . As of November 2010, there is also an effort under way to establish a regional commodity exchange in east Africa facilitated by Kenya’s National Cereal and Produce Board.